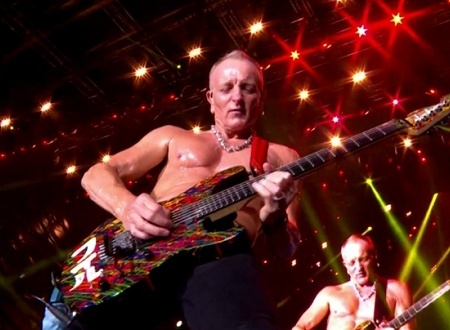 Def Leppard guitarist Phil Collen was interviewed by Long Island radio in February and mentioned the Las Vegas residency. Phil spoke to Joe Rock of 102.3 WBAB to promote the Sin City Residency. Phil talked about the Sin City Residency/VIVA! 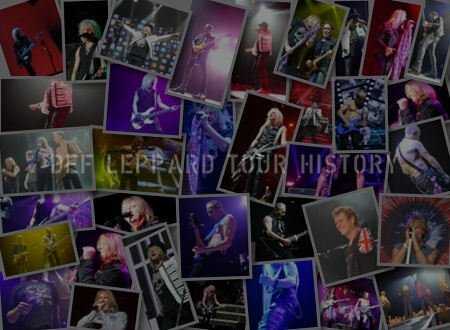 Hysteria, 2019 setlist, music inspiration, side projects, possible solo album, the Rock And Roll Hall Of Fame Induction and new studio album/new songs. He says the band intend to play a Greatest Hits et in Las Vegas but also add in a pool of rare songs to switch up the show each night. NOTE - 'Lady Strange' was actually played by Phil in February and March 1983 on the Pyromania tour in the UK, Ireland and Europe along with 'Overture' and 'Rocks Off' before they were all dropped. All three have not been played since that time. It was last played on 15th Marh 1983 in Melun, France and was taped for French TV. 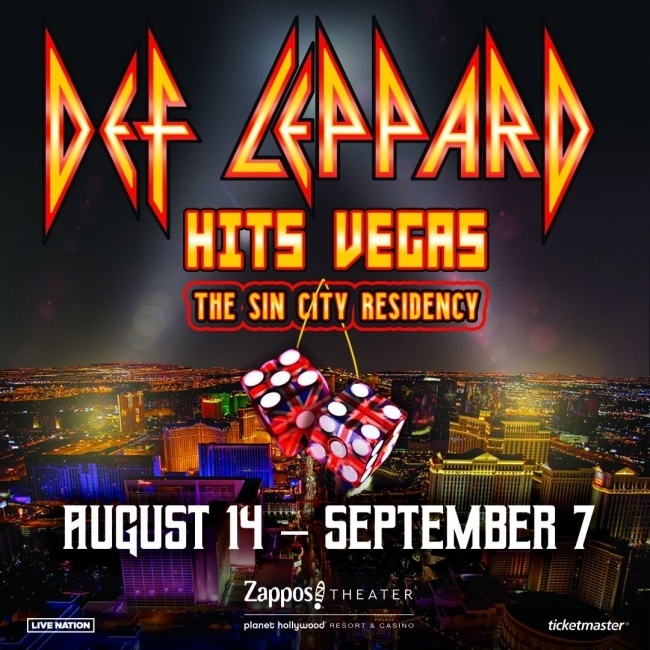 The Sin City Residency was announced on 13th February with 12 shows to be played in Las Vegas in August and September. "We had an amazing time actually and, you know, doing a residency or actually doing a whole album which is what we did last time, was something me and Joe had been speaking about for years and, you know, Cheap Trick had done it years ago and we thought this is cool. It was almost very theatrical, you know, 'cause we had, we went on stage early and opened up for ourselves. 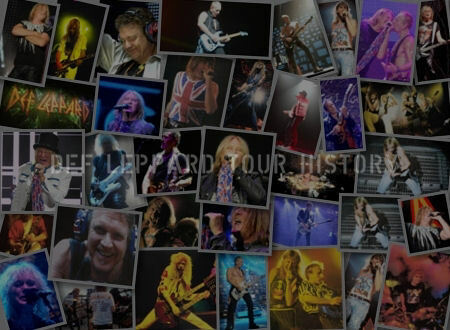 It was Def Leppard playing all the non hits and then we'd go off stage have a shower, come back on and do Hysteria. It was almost like a theatrical performance. So yeah it was different. It was kind of doing stuff you've done for years but doing it in a different way. So that was cool and the whole residency experience was different to say being on tour." "So yeah I'm looking forward to that. Anything that kind of just changes it up is kind of always a bit cool." 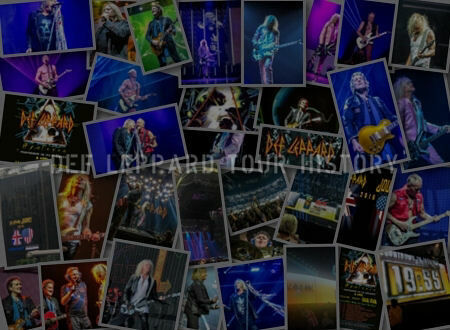 "e were thinking about it but I think the request was really we'd love to see Def Leppard doing a greatest hits show. But what we are gonna do, even if we do that, you know you have to play PSSOM, Photograph, Hysteria those songs and stuff. But it'd be nice to have a pool of, you know, rarities. You know B Sides and stuff off the first two albums that we never play. 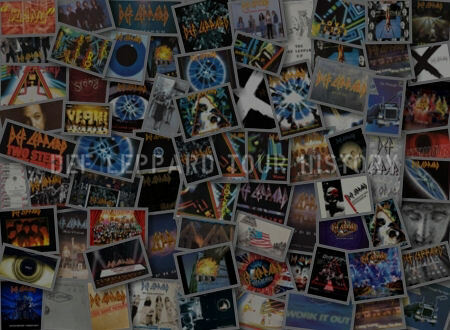 Or kind of deep tracks off some of the later albums. And just rehearse them and just throw them in literally every night. So it's a different show every single night. I think that'll be really cool." "Right yeah and again, you know,we'll probably start taking requests now, you know, 'cause we'd have to rehearse the songs and that but if someone says hey why don't you guys do Paper Sun or whatever it is. So we have a bit of time so when we actually do start we can actually dig in there and start coming up with, you know, playing them backstage and stuff." "really? OK. That one's come up before we've never played it live. So yeah not since I've been in the band. I don't think the band done it before either. So we'll write that down. I'm sure we can do it but yeah we may throw that in there. You'll have to let us know what night you're coming. We don't wanna do it and then you don't show up. You know what I mean." "I'm even thinking of doing maybe a solo album as well at some point because I've been getting all these different ideas and they're really drastically different." "Yeah no it's great. It's really - that's what you do I guess. You know we don't really do many award shows so it's kind of, it's really nice that actually our fans were the ones that were really getting up set with the fact that we weren't in there before. So they'd be constantly saying why aren't you in and it's like well, nothing to do with us. It's gotta be a voting process with someone else." "And over the last few years they've actually had this fan vote thing which counts as one vote.in the whole process which also inspires every one who votes. So we had an overwhelming amount of our fans. More than any other band that's ever had this process. So, you know, thank you to our fans. They actually, they really helped us get in there. So that was great and it's actually I'm really proud of our fans for doing that. It's very cool." "Always actually I sent Joe a track. We've actually started work on our next album. We actually started it last year. But it's just an ongoing process you know. Especially in this day and age where you can record stuff on your Mac which I do. You know I get a better guitar sound on the stuff I'm doing than if I went to a studio and mic'd it up and all that stuff."